Some of you are definitely going to regret reading this, especially those of you who do any type of canning. Two weekends ago I found the Holy Grail of canning supplies—REUSABLE CANNING LIDS!! Yes, there IS a God and he inspired a unique man by the name of Loren Steig from Michigan (we can’t all have the good fortune of being Buckeyes, I guess). Since 1976 Loren has been manufacturing these amazing little things but with very little notice. In all this time he’s found his product in only a small handful of retail shelves throughout the U.S. But the good news is that YOU can get these awesome things right from the internet and you’ve got someone who's telling you about them. I wish I had a Preparedness Pro to tell me about these 15 years ago! 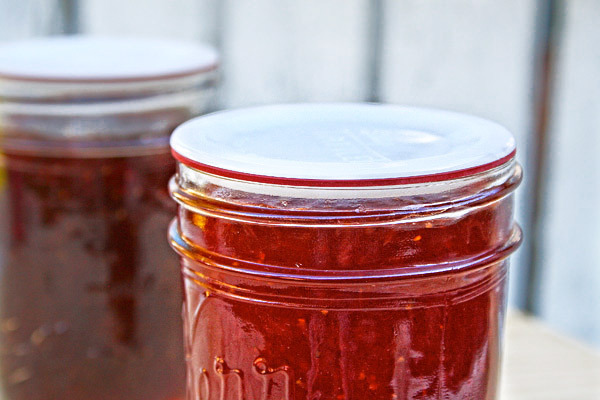 You can use re-use these lids in the pressure canner or in dry canning, whichever you want. They have a lifetime warranty on them and Loren says that he’s never had to replace a single one. There are two pieces, a rubber gasket and a plastic (BPA free) flat part. You place the rubber gasket (which looks like a red rubber band) on the plastic flat piece around the ridge. Simply clean them with hot water and then put them on top of your clean jars; then screw on the standard ring that you always use. The standard ring needs to be screwed on a bit loosely so that your jars can vent during pressure canning. 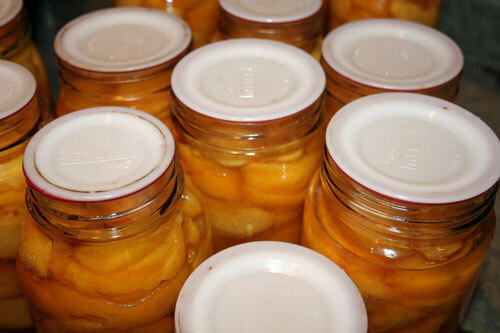 After you’ve done your pressure canning, you’ll want to re-tighten the lid as the pressure builds up inside the jar and loosens them a bit, but other than that there’s no difference to using these versus the ones faithful canners have been using for years! They come in regular size and wide mouth size and…wait for it…can even be washed in the dishwasher! Water bath, pressure canning or dry pack canning it doesn’t matter. In fact, I had less trouble taking off the Tattler lid from my dry vacuum canning experiment than the regular lids I use now. While I may end up missing those little popping noises that give me such great satisfaction after canning 20 quarts of meat, I’m willing to part with a little bit of romantic music in exchange for saving lots and lots of money. You can use a Sharpie pen to label your canned goods right on the plastic top and with a little bit of elbow grease it will come off so that you can re-label your next batch of goods. The only downside I have with the product is more of a company/marketing issue. The manufacturer gives very, very small mark-up to the retailer; which is exactly why they aren’t in more stores. A retailer has to order 500 of them just to get a 5% discount. I would never advise a retailer to put something on their shelf with that small of a profit margin. When you consider shipping costs, which are usually easier for the consumer to swallow if built partially into the price of the product, plus the 2-3% of the sale which goes to the credit card companies, plus the cost of labor and taxes, this isn’t exactly the best business plan; and would explain why, in spite of the amazing product, they’ve remained relatively unknown since 1976. They also require that all retailers sell the product at a specific price—something that usually only the likes of Bosch and other foreign-made products which are in high demand get away with. Ironically, when I spoke with the owner, he was concerned about being in too many stores and unable to keep up with the production. Catch 22 there. One of the typical mistakes businesses make—they can’t decide if they want to be a retailer or a wholesaler and thus limit their growth in either area. So, they have a ways to go before they value their position as a wholesaler rather than a retailer, but the product is still wonderful! You can get three dozen of them for $20 for the regular size and $23 for the wide mouth size, before tax and shipping. Compare that to $8.50 for 12 of the regular lids that aren’t reusable. And if you’re a crazy canner like me you can also get the “bulk pricing” and get a mix of 250 of both sizes (each) for just under $300. Personally, I’m going to see how I can work that into my budget or get a bunch of my girlfriends to go in on it with me so that we can get a better price. When you figure that I use about 50-100 Mason jars a year, depending on what’s given out to the neighbors at Christmas time, I suppose having a few hundred of them wouldn’t be such a bad idea. To get these lids you can go to www.reusablecanninglids.com or do an internet search and see if you can get lucky and find a more competitive price on someone else’s retail site. They are branded “Tattler” so you might have more success looking under their brand name. Regardless, do the happy dance and get canning!! I have been using these lids for a while now and I absolutely Love Them! Definitely the happy dance. I am the man in our house who does the canning ( my wife is disabled)> I used these lids some years ago and never could find any more in stores. They do work great and thanks for finding them. The only warning I give you is to educate your family on the use of them! Opening the jar you want to be a little more careful than you would be with the metal lids so you don't tear up the rubber gasket... also, if you have been doing canning for awhile and the family has gotten used to the idea of opening a jar when you aren't there and just throwing the old lid away, you will be ready to tear your hair out the first time they do it with a Tattler! disturb the rubber or shape of the lid when you do. M'y sis & I have many dates & names of the jar's contents on top because we reuse them for canning meats, or jams, salsa, etc. Over and over and over; never buy lids again. Well, to each is own. I would never rely on using the regular flat lids again and again except on vacuum canning. Food SAVER handbook of instructions! 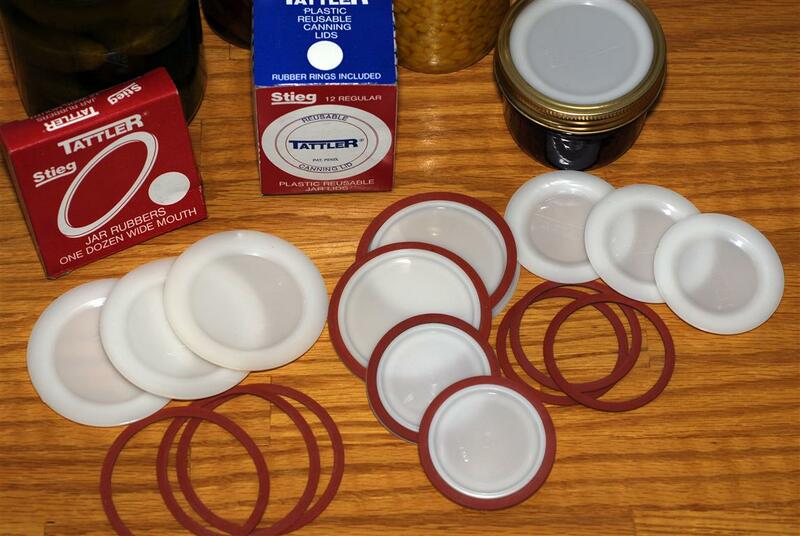 As long as there is a seal, everything is perfectly safe.And my jars seal 95% of the time. If not, into the fridge they go. I know. I know. I'm flawed. I simply don't know everything there is to know and as such, I certainly would not be comfortable reusing them after Pressure Canning them. However, like my comment previously, I WOULD indeed use them again and again with vacuum canning, which is what a Food Saver does. Lehman is carrying the lids - they can be found in their latest holiday catalog. After struggling with a rusty lid myself, I turned the whole jar upside down into a small bowl of veg. oil. Pour in enough oil to cover the ring and let the oil seep down inbetween the metal and glass. Let it soak for an hour or so and it should come right off. I used a towel when twisting the ring to protect my hand. Kellene, my only hesitation using these would be how to know if the jars sealed properly. I just canned up some chicken (thanks to your encouragement) and two of them didn't seal. I would be worried about killing ourselves with these lids. Also, I'm not sure your math works out. You said $20 for 3 dozen lids, and $300 for 250. That makes the bulk ones more expensive than the smaller order. I see, I went to the website and it's 250 each, for a total of 500. That makes more sense. I thought I got the info right off of the site, but you're right, I didn't explain it correctly. ugh! In my experience there seemed to be a whole heck of a lot question about the seal with this method. I don't know how to explain it, but it was as if it was "super sealed." I always worry about the other ones. Anyway, if for some reason they don't seal, you won't poison yourself because when it comes to meat, the nose gives away a faulty batch! You won't get close enough to eat it. 2 years of not getting them I could see that as a risk to take. But I think it's easier to buy extra lids and not chance it. One thing I know about Kellene she has probably tried it or has a solution for stuff. And the other good thing about dehydration is that you don't have to worry about used lids--since you don't have to pressurize dehydrated stuff to keep it from spoiling (since it's dry), you can reuse lids. I have about 300 unused mason jars that I hope to fill with dehydrated stuff in the next six months or so, now that I've moved to my nondescript urban homestead. Thanks from all of us, Tricia! I really like the idea of reusable lids. As I am new to canning I'm starting off with the basic jars and lids. I did save my lid from my 1st bootled butter, it's nice to know I can reuse it for vacume sealed jars. Bottled butter turned out pretty good but I had no Marbles on the 1st batch and I think I cooled it to quickly. It was just a little grainy, but tasted great and melted like regular butter. Oh I also turned another on to waxing cheese. My supplier of cheese wax is out of stock right now but once I get wax I'll do another 10 # of mild cheddar and maybe splurge on some provolone. Kellene have you waxed pepper jack cheese? Do the peppers have an adverse effect on waxing? or do the flavors meld and get stronger? Jamie, I'd love to know about yor Cheese wax source. I've been looking and trying to find the best deal but I'm always open to other/new sources. I'm using rebelbrewers.com. Cheese wax is $6.50 and shipping takes it up to $10.00, but I got my wax a day early about 2 business days ordering over the weekend. They do seem to have some pretty good prices on brewing, winemaking and cheese supplies at a good price. Thanks so much. I'll check them out. I'm excited to read about these. How about you use the cheaper lids on the jars you use as gifts? I often don't get my jars back, either, and that's enough expense for me! I'm worried about these lids: is there any data available on the safety of these? I like to be cautious! Otherwise, it's a beautiful notion! Thanks for sharing. As stated in the article they are BPA free and have been manufactured since 1976. There's a great deal of info on their site. So Kellene have you used these lids yet? If so how did they work, did you like them? I am just trying to decide whether or not to invest in them. Thanks. This is awesome! 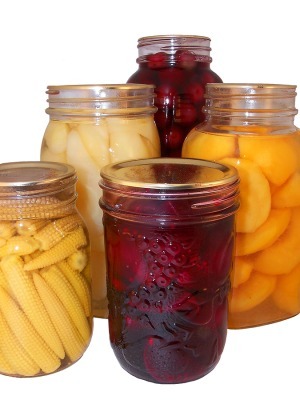 I just started canning this month and Im headed to the ole homestead this weekend to pick-up all my moms canning supplies she is giving me. I know I need replacement lids and I will get the re-usable ones and start off right! Thanks Kellene! Kellene, I don't write on my lids when I use the vacuum sealer. If I want to reuse the lids, I use a small piece of scotch tape to write the date on. When you use the contents of the jar, pull the tape off and you're set to reuse the lid again. I would think this would be perfect for the Tattler lids. I had the good fortune of meeting the inventor at the Arlington TX expo and asked him the question about how to know if they'd sealed properly. 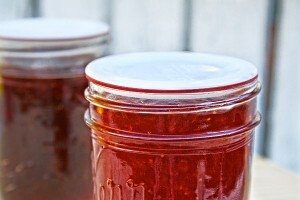 He picked the filled, sealed jar by the rim of the lid and said if you can pick it up that way, it was properly sealed. I have used them and love them! I am looking for the name of your canning vacuum sealer that is electric. What is the name of it and how much does it cost? Foodsaver. Best price is at Costco IMO, check them out online.